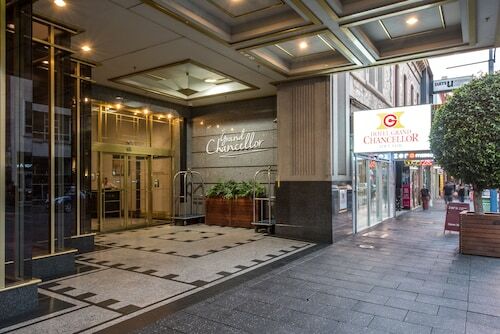 Situated in Clearview, this hotel is within 6 mi (10 km) of Adelaide Aquatic Centre, Adelaide Oval, and Rundle Mall. Adelaide Zoo and Adelaide Botanic Gardens are also within 6 mi (10 km). Situated 7 kilometres to the north of the town centre of Adelaide, South Australia's capital, you will reach the great area of Clearview. If you are heading to Adelaide for a night or a longer holiday, the Victoria Square, Government House and Rundle Mall will fill your days. If you think you've got the drive and focus, then challenge your mates to a race at KartMania & Laser Force Skirmish Centre. Want to hit the hay nearby? Consider the Comfort Inn Manhattan and Comfort Inn & Suites Sombrero. Keen on checking out a cafe or two in Clearview? Whether you're catching up with friends or just curling up in a quiet corner with a magazine, you can't go past Veloce Paninoteca. Unfortunately, our bodies can't keep going on just caffeine. Have a flick through the menu at BP when your stomach starts kicking up a fuss. And of course, you haven't fully experienced Clearview until you've said hello to the locals at the neighbourhood bar. Here, Enfield Hotel is the place to be. Don't stress if you cannot find the perfect Clearview hotel room. 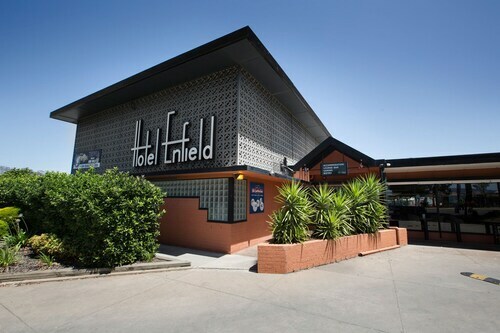 You'll discover more places to stay in the Enfield hotels guide and the Wotif Gepps Cross hotels guide. Enfield is about 0.8 kilometres from Clearview and Gepps Cross is approximately 2 kilometres away from Clearview. Wotif can whisk you to Adelaide or thousands of other inspiring destinations on the planet, so stop daydreaming and start booking! How Much is a Hotel Room in Clearview? 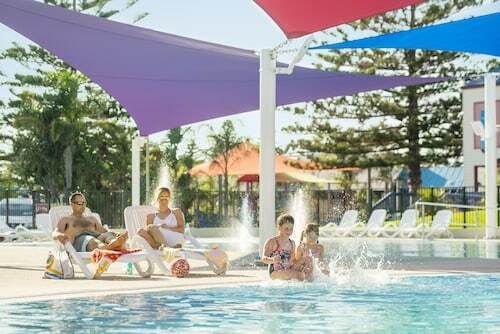 Hotels in Clearview start at AU$94 per night. Prices and availability subject to change. Additional terms may apply.